Amino AcidsPVL Mutant Amino - 300 tabl. 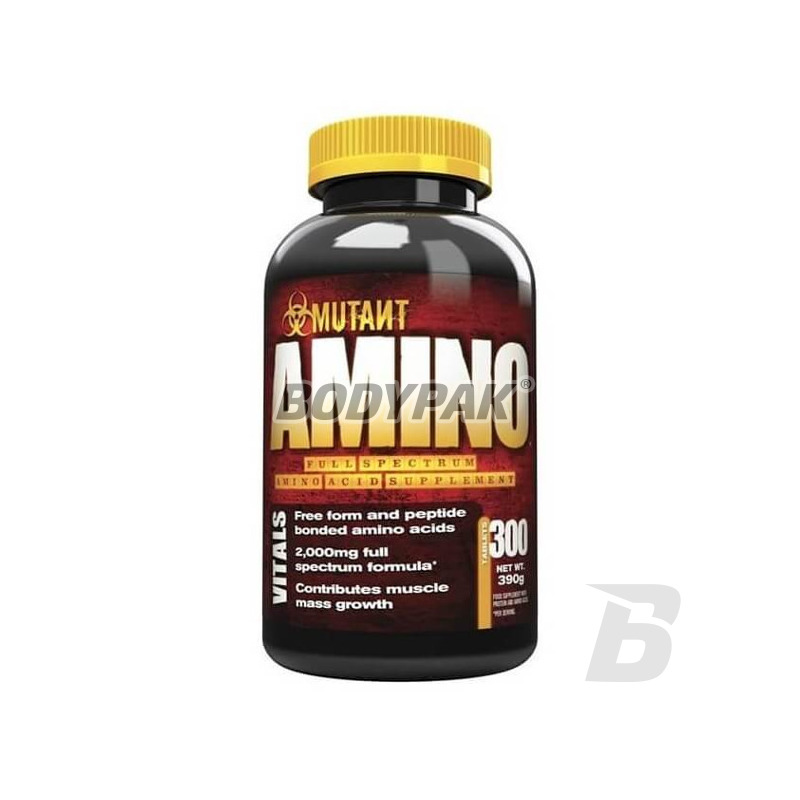 Advanced product amino acid that has been created to deliver the nutrients encourage the growth of large, strong and durable muscles. THERE IS NO ROOM FOR COMPROMISE! PVL Mutant Amino is designed to deliver ingredients encourage the growth of size, strength and muscular endurance. Amino acids contained in the preparation are key components for building muscle. The product contains a whey protein hydrolyzate, reinforced a powerful dose of Leucine and taurine. Protein molecules used (di- and tripeptides and individual amino acids) was very well absorbed into the body rapidly, and are delivered to the muscles. 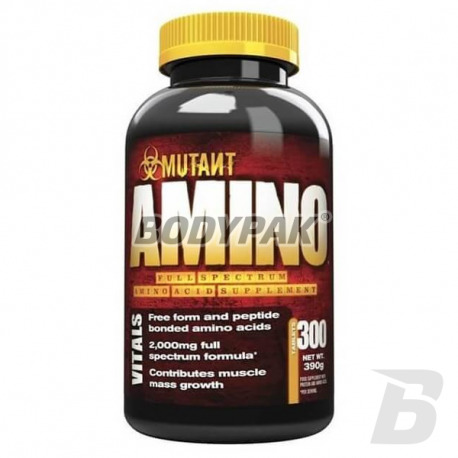 PVL Mutant Amino supplement contains specially selected, a powerful blend of proteins. Supplements the diet with ingredients supporting the growth of muscle mass and strength. The current formulation branched-chain amino acids (BCAA) help build muscle tissue. Present in the preparation large dose of taurine has the properties of anti-oxidation processes unfavorable, gives energy and reduces fatigue. The product contains a specially selected composition of ingredients and preparation formula has been developed in cooperation with the biggest specialists in the industry. PVL MUTANT AMINO - ATTITUDES ON THE QUALITY! Nie potrzebuje nic więcej. Bardzo dobry dodatek do diety, odpowiednio uzupełnia niedobory aminokwasów!